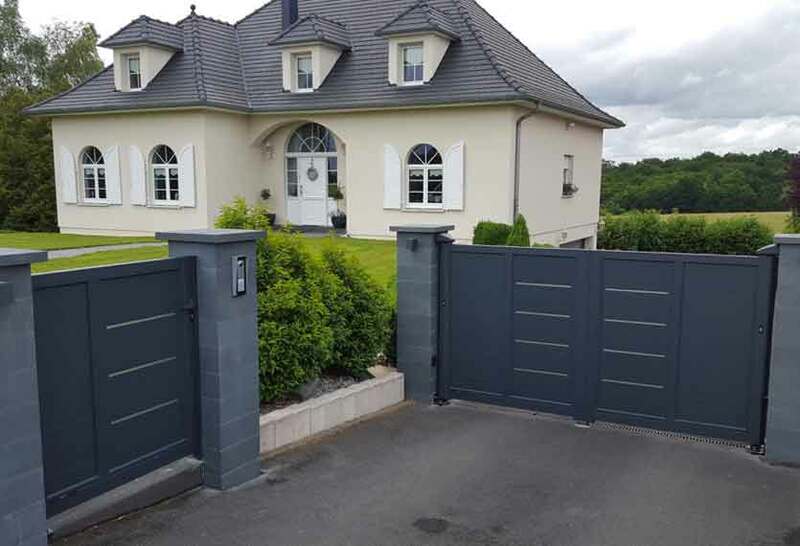 Click on the images in our gallery below to view Akordia aluminium gates in more detail. 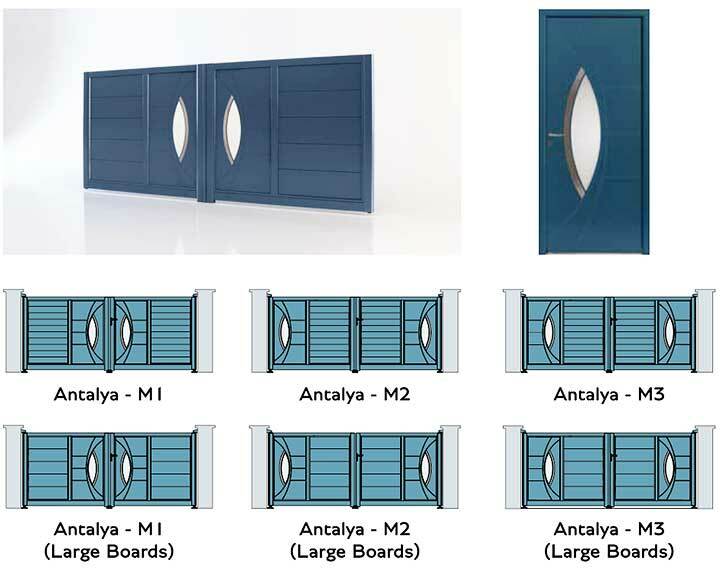 All of the styles within this award-winning range are uniquely different in design offering stunning features such as a mixture of brushed stainless steel facings and white translucent glazing within the “Antalya” & “Atlantide” versions & similar within the “Cotim” types, with the additional option of horizontal aluminium inlaid decorations also. 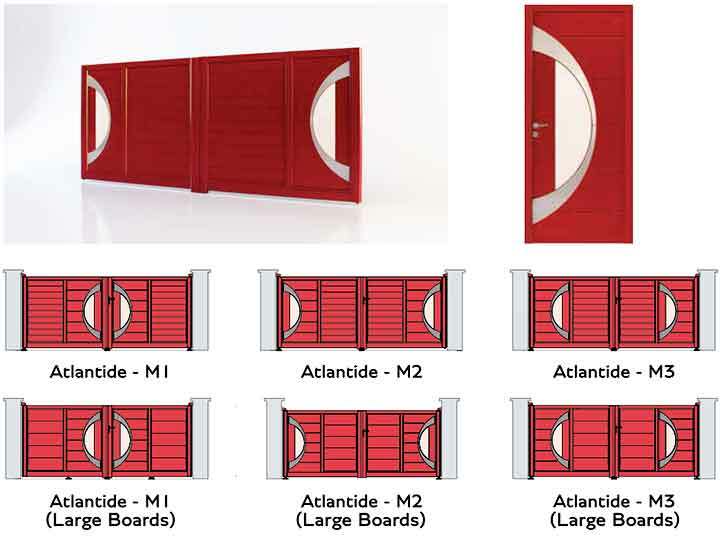 All within this range are flat-topped and you can choose from 125mm wide horizontal boards or even wider at 250mm if preferred. 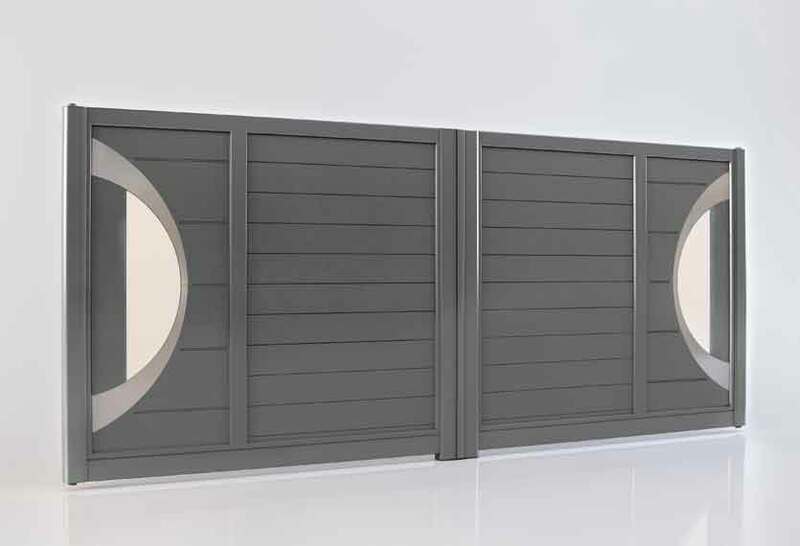 Available in standard and non-standard RAL paint finishes (non-standard at a slight extra cost), this range, in swing or sliding gate options offers the ultimate in superb modern design, security & style. 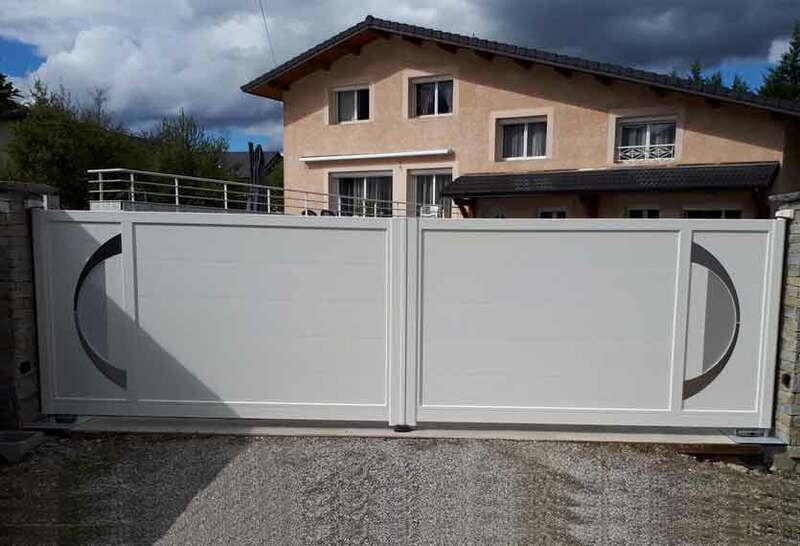 Smaller Gates and Fencing can also be matched to offer the whole solution. 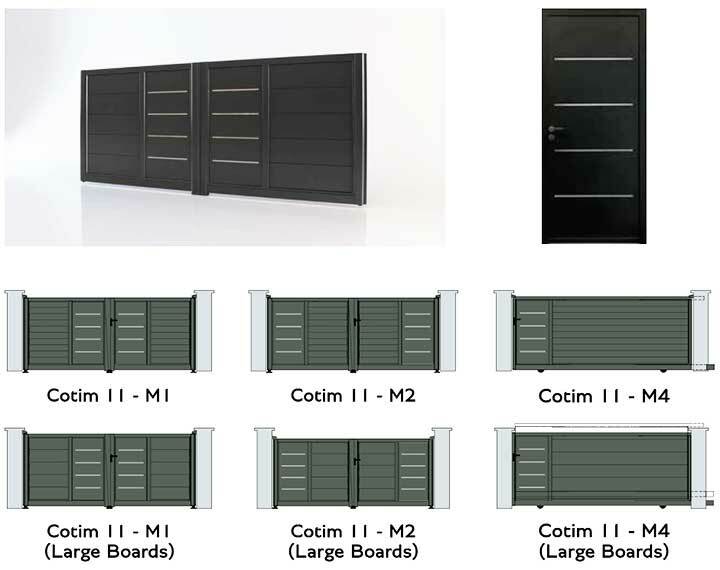 As with all of the Horizal ranges, we offer automated solutions if required or manually operated types. 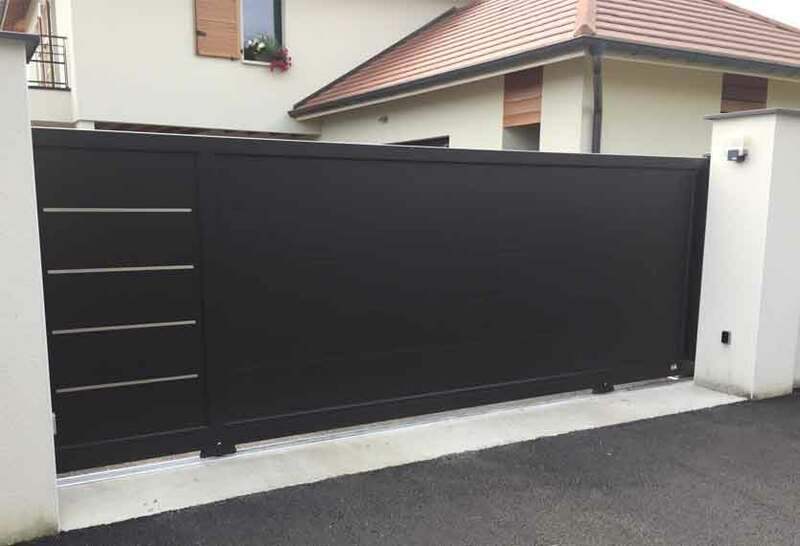 If you require an automated type the frame-work uses aluminium reinforcement to add strength to the Gates. 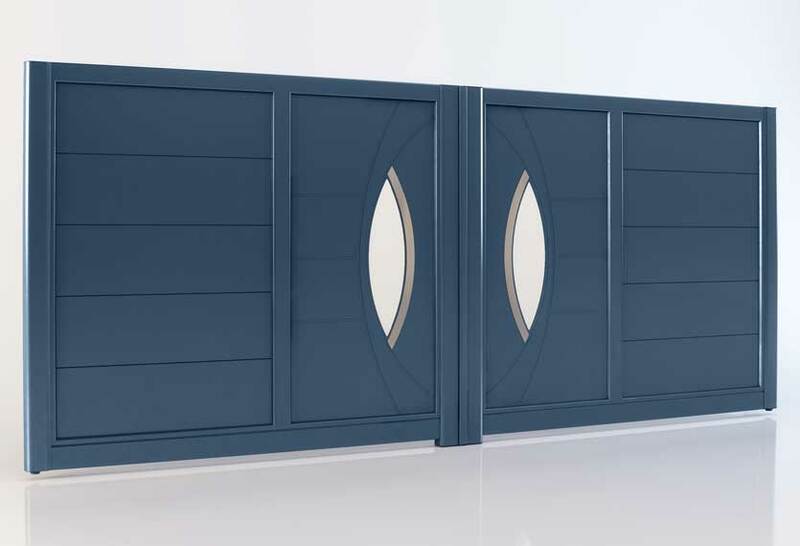 This unique and stylish collection offering you an exact match to front-door, garage-doors, with colour-matching to facia-boards, window frames and all other house-hold features also, defines this range like nothing else. 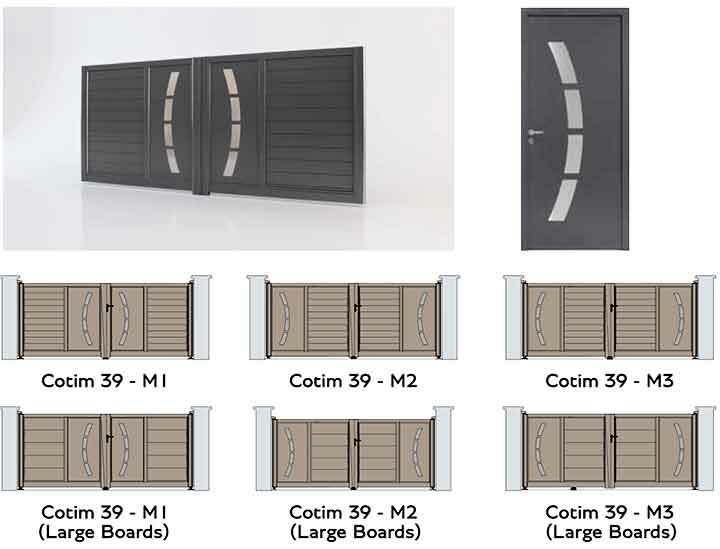 The integrity of these designs, the build quality and style of these products will enhance the look and appeal of your property whilst adding value and security. 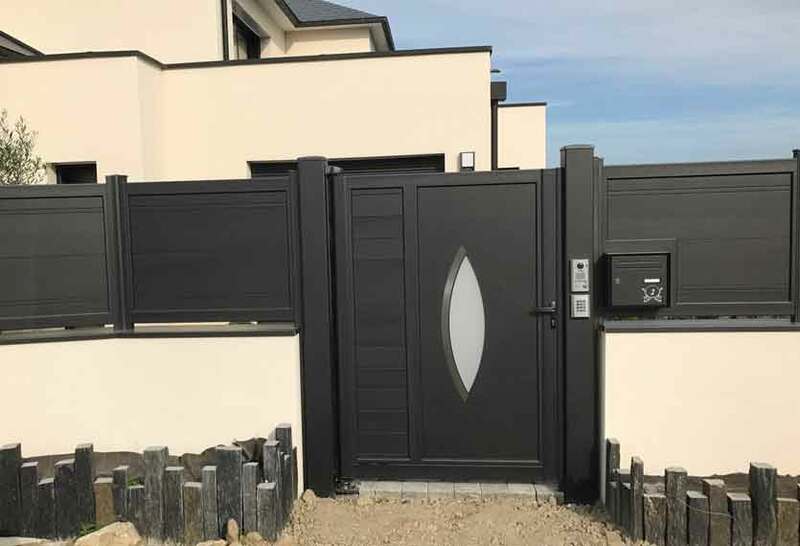 For detailed information on the Horizal Akordia collection of aluminium gates, including personalising your gate, and how to choose your ideal gate, please download our guide. Alternatively an overview of available features can be found in the tabbed area below. 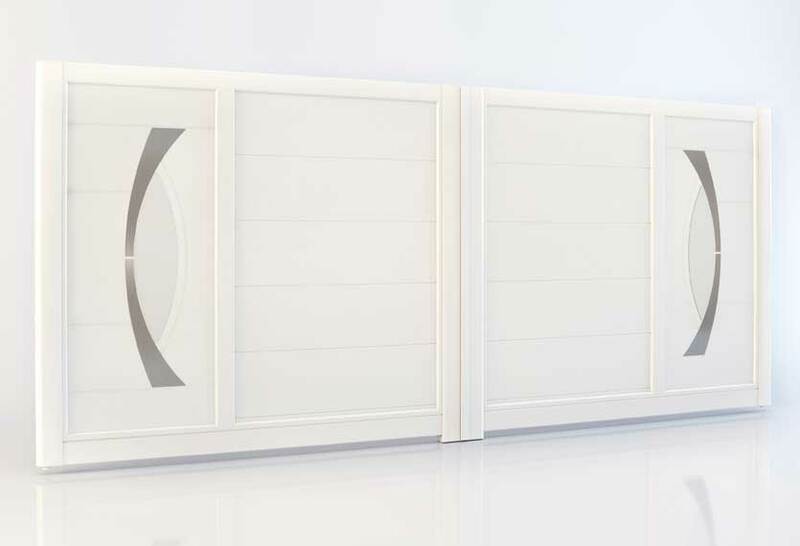 This model has brushed stainless steel facings and white translucent glazing. 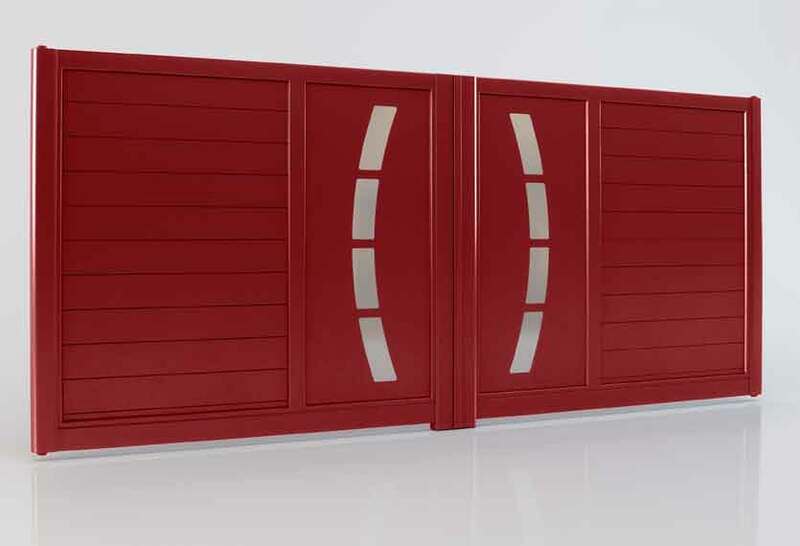 This model has horizontal aluminium inlaid decorations and is available in two finishes: Mirror or brushed stainless steel finish. 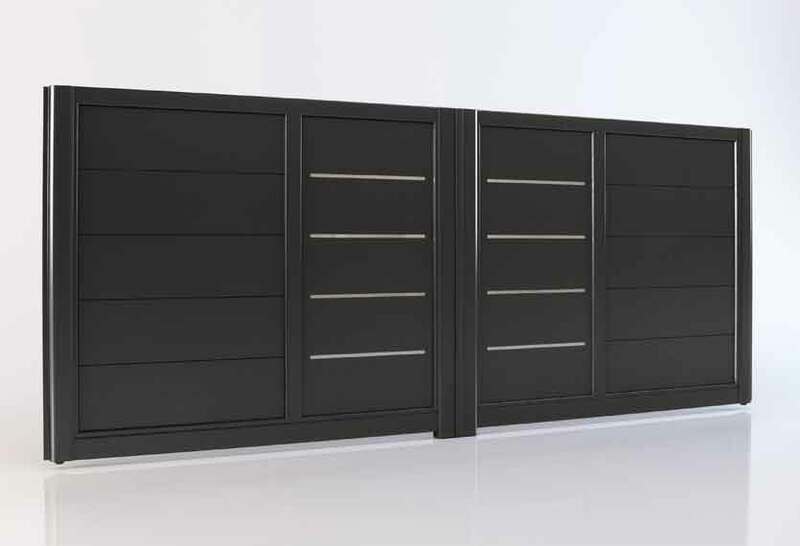 This model has brushed stainless steel facings.